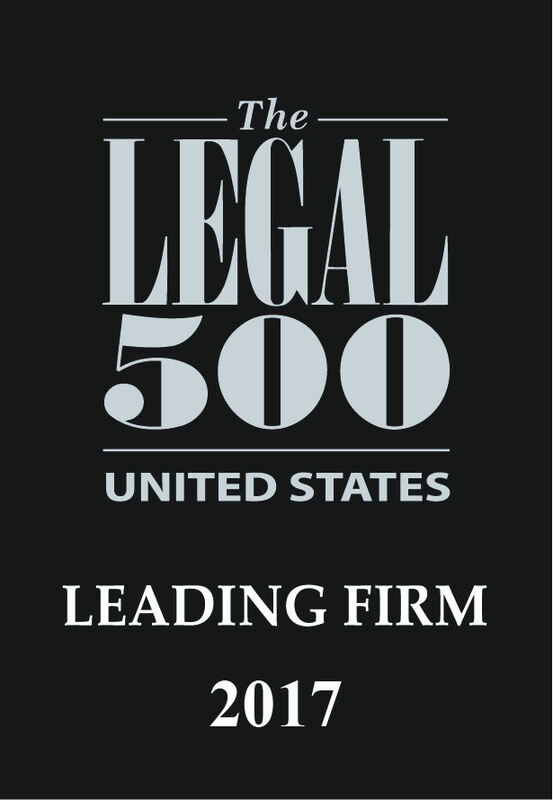 Cantor Colburn has been recommended as a Leading Firm by the Legal 500 United States 2017 in Intellectual Property for Patents: prosecution (including re-examination and post-grant proceedings). This will be the firm’s eighth consecutive year as being recognized for this highly selective honor. Partners Michael Cantor, Phil Colburn, Leah Reimer, Pamela Curbelo, Andy Ryan and Dave Christensen received special recognition from the editors of the publication. Dave Christensen was also recognized as a Next Generation Lawyer.